Somehow my friends and I have lucked out like you wouldn’t believe. In January 2007, my close buddies and I agreed to conduct “Quarterly Meetings” – a reason to see each other and catch up in a way that phone calls and Facebook messages could never accomplish. These meetings have resulted not only in a closer bond but a laundry list of stories we’ll never tell our future wives but will definitely tell each others’ future children. 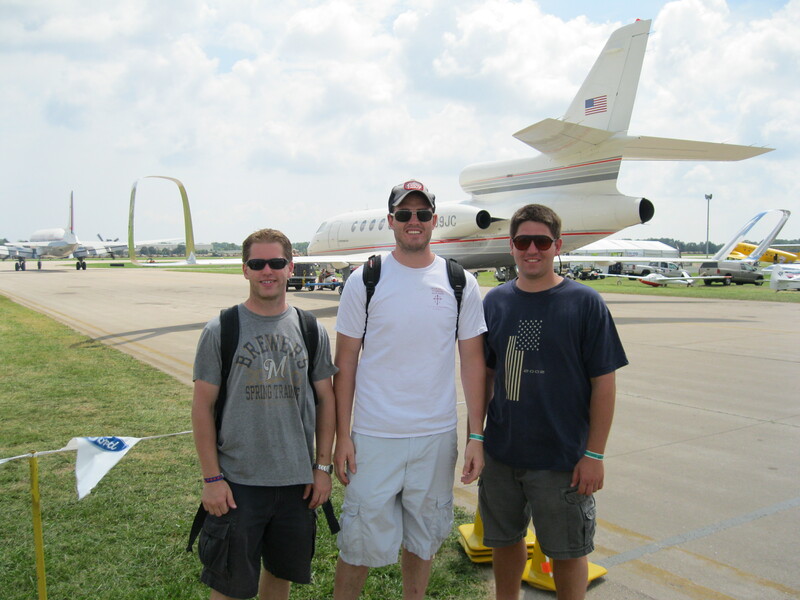 This past weekend our “Quarterly Meetings” was held in Oshkosh, Wisconsin at the Experimental Aircraft Association’s annual air show and convention – Airventure 2010. For the group that was able to attend, the weekend was riddled with conversation about the upcoming wedding season, whether Summer Shandy is better than Sunset Wheat and if it’s more fun to watch a squadron of F-15s take off or the massive C-5 Galaxy – a plane so big it makes a Boeing 737 look small (see photo below). It looks like Southwest's 737 is going to fit inside the C-5 Galaxy! No matter what the topic, our conversations were always laced with plans for the future and how we’ll adapt to future changes likes spouses, kids, increased work responsibility, etc. Over the last couple years, I’ve learned that when you find his kind of support network, you can’t let go of it – it has to be nurtured. One of the things I struggle with the most is keeping in touch with friends I don’t see very often. This normally results in the awkward “first date game” (e.g. So what are you up to? Do you still have a dog?) and it prevents us from discussing issues like the importance of a strong bullpen or if Brett Favre is still playing football. To help avoid such the “first date game” and plan our future meetings , my friends and I established a Google Group called KittenKall (don’t ask about the name). We mostly share news and funny jokes but even those simple notes create a connection the makes the 1,000+ miles between Denver and Chicago seem like 25 miles. On your commute this week, think about your “KittenKall” and what group of friends you should be staying in touch with more often. They might be your sorority sisters, high school teammates or the group of fellow parents you don’t get to see as often as you like. Whoever they are, find those them and reconnect through a simple email. You’ll be surprised how easy it is to stay in touch once you have a convenient outlet to do so. Do you have any other ideas for staying in touch with family and friends that you don’t see / talk to as often as you’d like? You guys went to an experimental aircraft expo and air show and the rocket scientist didnt score an invite? I’m hurt! See you all in Minneapolis in a couple weeks! Our apologies Jake, it came together at the last minute. 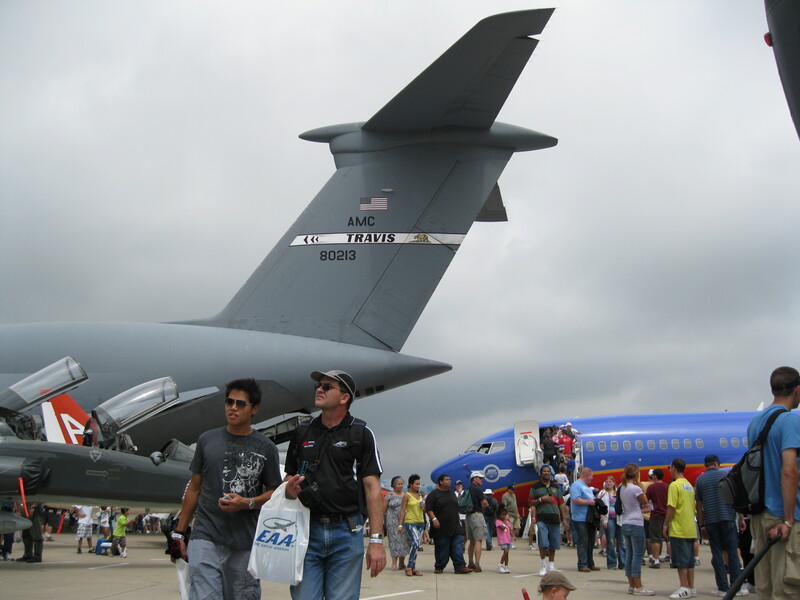 However, mark your calendar for the last week in July 2011, because next year’s Oshkosh will be even bigger and better! True story. Need more pictures! Especially of the fight. Thanks for the reminder B. Love. I hope the Facebook photos did the trick!